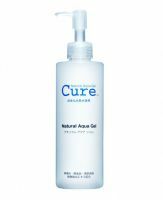 90% revitalized hydrogen water, Natural Plant Extracts from Aloe Vera, Gingko, and Rosemary. I have recently found that washing your face with a warm wet towel does the same job as this product. After I wash my face with a warm cloth this product does not exfoliate any additional skin. I think that a warm towel is even more effective as it has promoted a much healthier skin for me.